Have you ever gone to a great antique market and been inspired by all the cool old stuff? Maybe you were overwhelmed! Or maybe you even looked at all that old stuff and wondered how in the world you would use it? Only to walk away empty handed. Then Vintage Find Friday is for you! On Fridays, I will be posting about some of my favorite vintage finds, how to incorporate these finds into your design style and some crafty updates to all that old stuff. For this first installment, I thought I’d start out pretty simple! 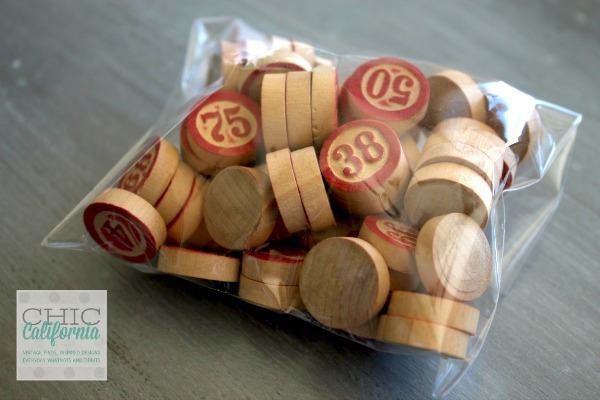 Vintage Wood Bingo chips are pretty easy to come by. You can find them at the local antique mall and even garage sales. So start to keep your eyes peeled for them. I found bags of them at a local vintage market for $3 each. If you are not into scouring vintage stores then you can even cheat and buy them new here. You can leave the bingo chips alone and keep them on display in a jar. 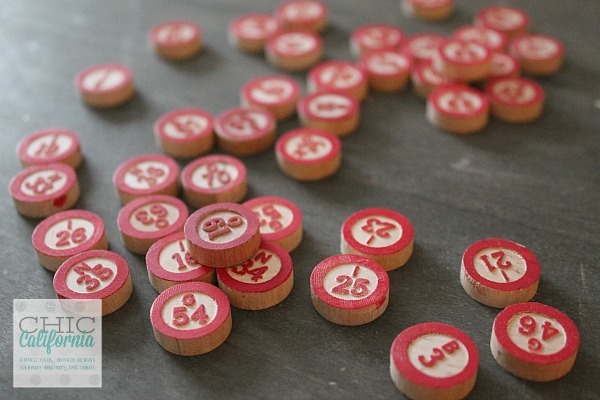 Or use them for wedding decorations or table numbers. 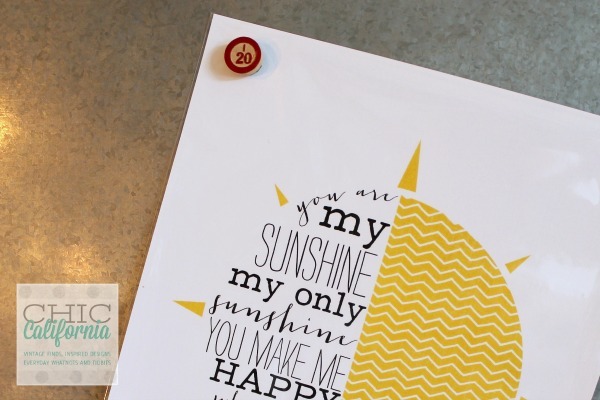 Or you can get crafty and make some magnets. Yup, that’s all folks. Told you this would be easy! 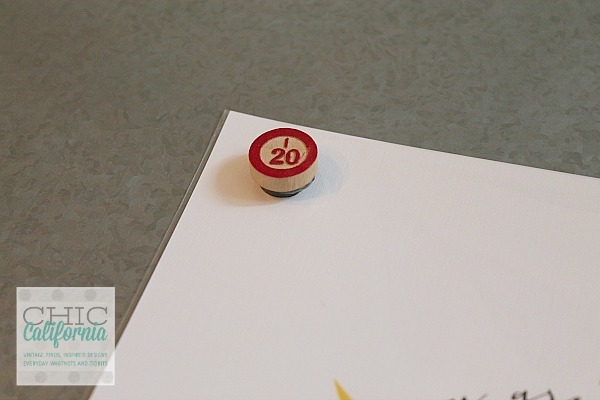 Make sure you have the magnet facing out when you hot glue it on to the bingo chip. Otherwise it will repel and won’t stick to your magnetic surface. Just a dot of hot glue will do. 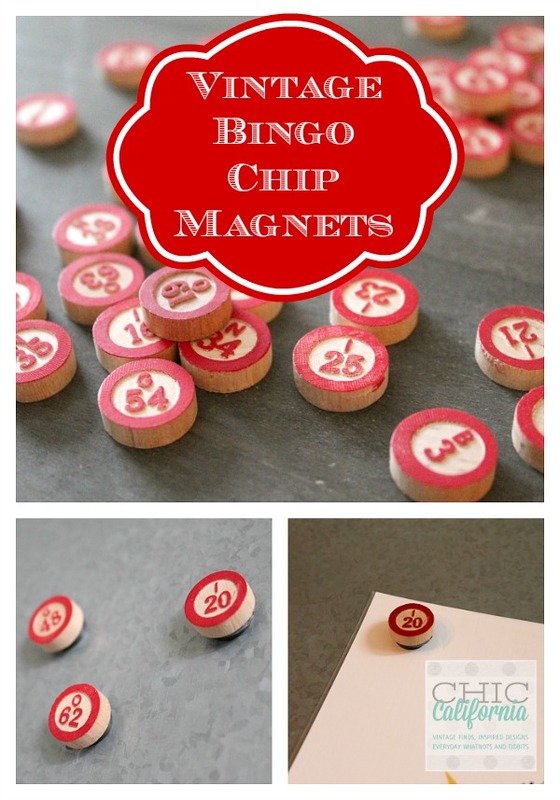 And then attach the magnets to the bingo chip. Could it be any more simple???? 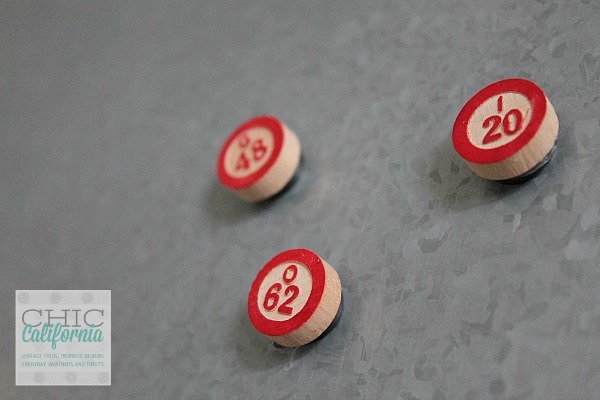 In no time you will have a set of vintage wooden bingo magnets for your fridge or memo board. These would also be great to package up and use as a unique hostess gift the next time you visit a friend’s house. Everyone can use fridge magnets! What a creative way to make magnets! Love them!